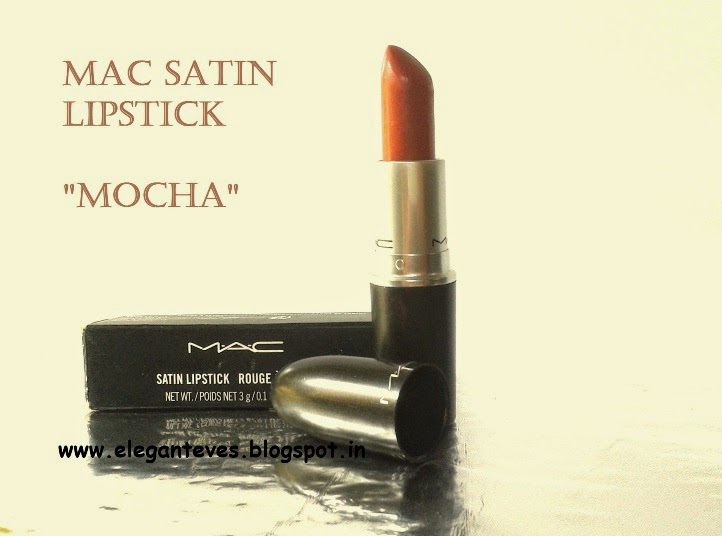 Mocha is from the Satin range of MAC lipsticks which are neither creamy nor ultra matte. They are somewhere in between. 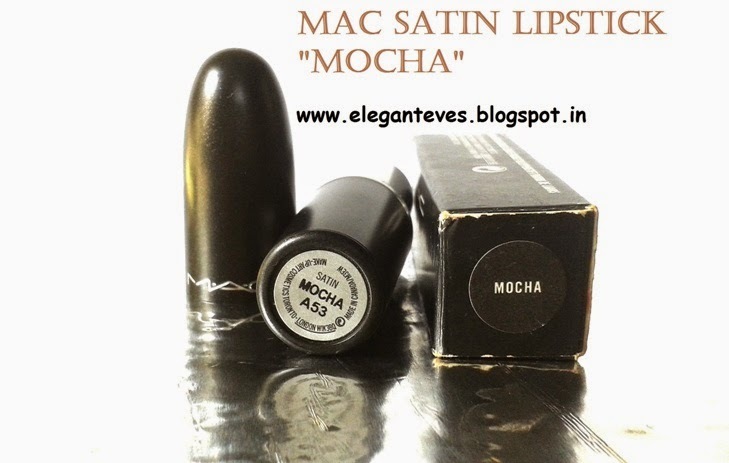 Mocha glides on effortlessly on exfoliated and moisturized lips. I would stress on exfoliated and moisturized lips because Mocha can exaggerate dry and flaky lips and make them look even more unflattering. 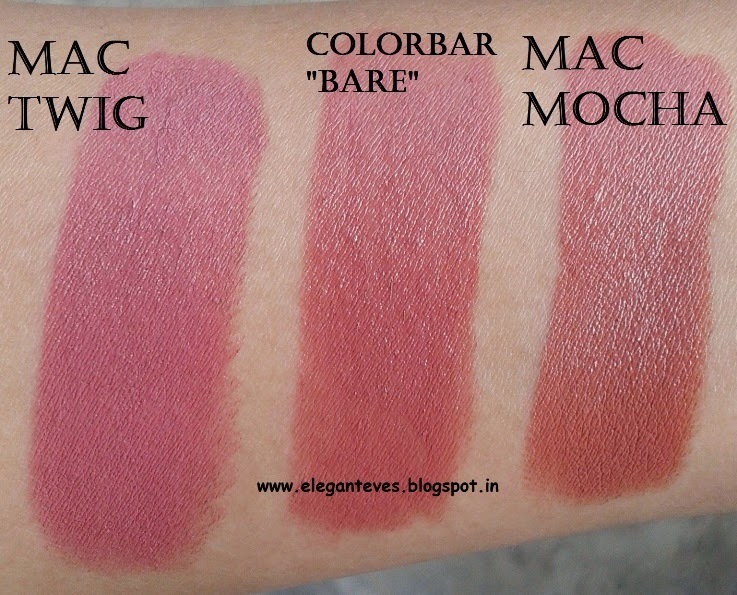 The opacity is terrific and one swipe covers all pigmentation. 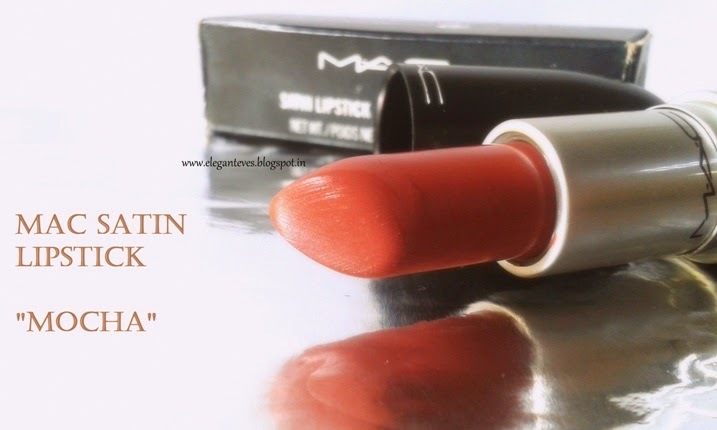 It might feel a bit heavy on women who are accustomed to only lip glosses or creamy lipsticks. 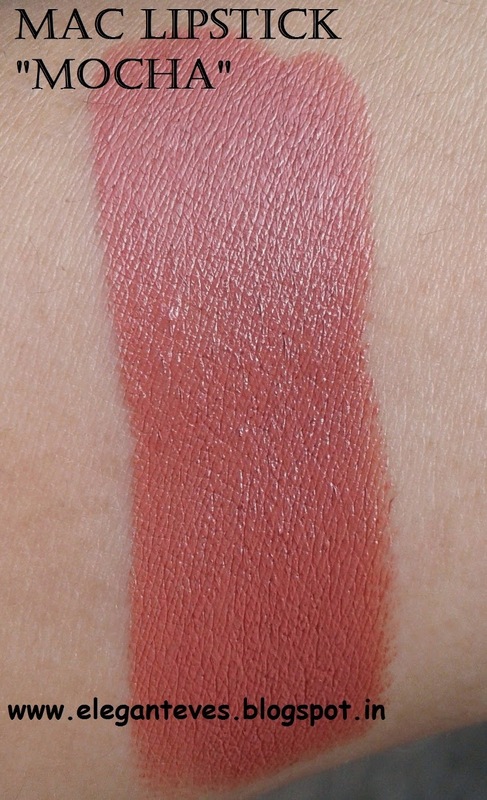 On matte lovers, this texture can be a delight. The shade is a peachy brown which would come out differently on everyone: on some it would be more peach and less brown (Like me!) 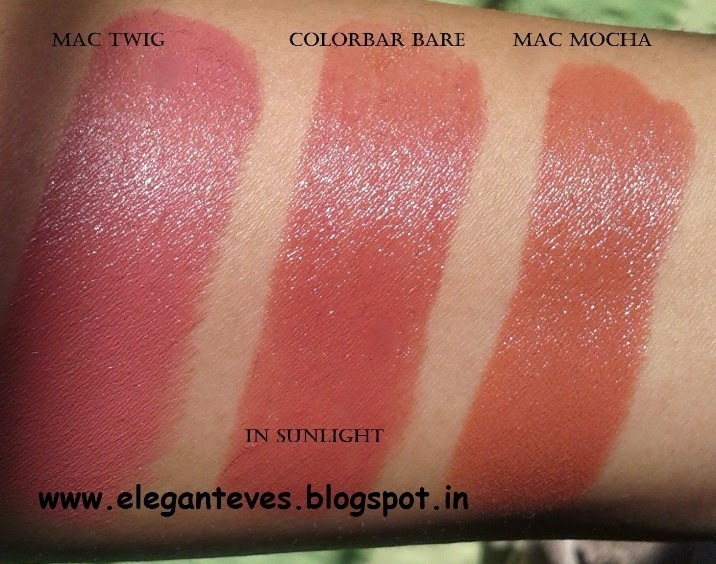 and for some others it would be a luscious light brown with peach undertones (for pigmented lips). 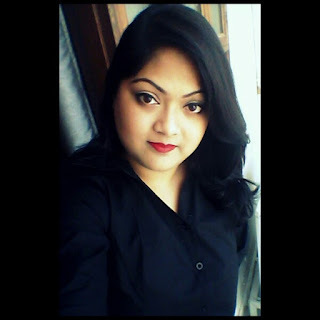 The staying power is 4-5 hours on me when used alone and 6-7 hours when used over a n*de lip liner like Lakme 9 to 5 lip liner in “Beige Pink”. Now the question is, do I like it on myself? Honestly, I was not at all happy with the shade at first. It accentuated the yellow tones of my skin and made me look like a “yellow alien” :-/ So, this one was lying unused in my kitty since long. But recently, I primed my face with a BB cream and some highlighter, did a basic smokey eye with kajal and brown eye-shadow and THEN went on to apply Mocha. And VOILA!! I looked very different and very nice ;) So, I realized that Mocha is to be treated “royally” :D It is not the lipstick you would “just swipe and go out”. It can make you look REAL good if worn properly. 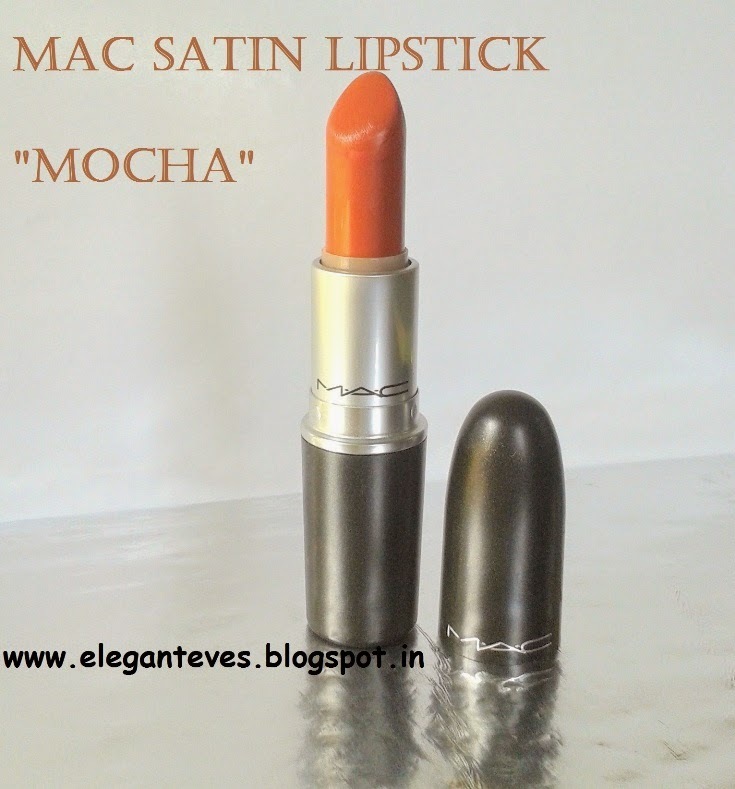 Recommendation: I would recommend MOCHA only if you are a die-hard MAC fan. Else, there are a lot of lipsticks which look the same on lips as Mocha does and that too without burning your pocket J But yes, shade-wise, you NEED to own one such shade- perfect partner with smokey eyes!! I hope this was helpful ladies :) Invest wisely!